Queen frontman Freddy Mercury was a larger than life personality and though it may seem nearly impossible for an actor to replicate Mercury’s outlandish personality and electrifying stage presence, Rami Malek delivers an outstanding performance in Bohemian Rhapsody. Malek will no doubt earn an Oscar-nod for his performance of one of the most famous frontmen in all of Rock n’ Roll. 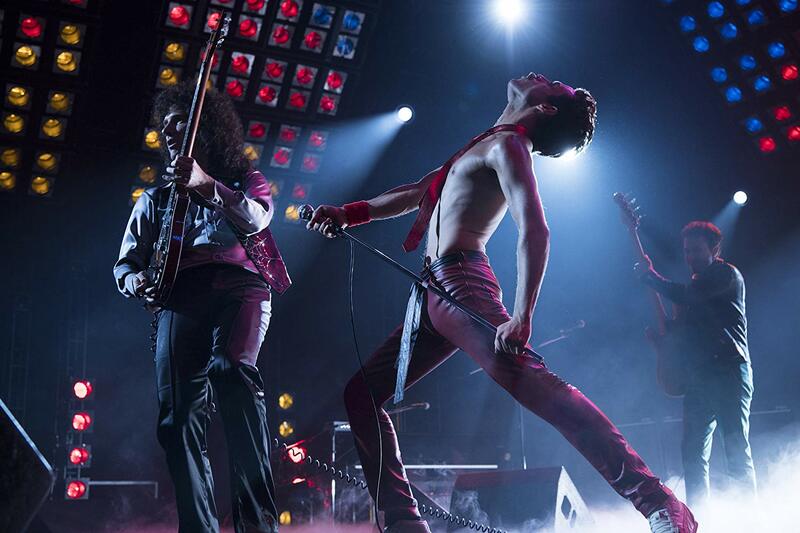 While Malek’s performance was nothing short of stellar and the music of Queen will have you stomping along to “We Will Rock You,” the Queen biopic is predictable and while enjoyable, leaves you with a feeling that it could have been so much more. Director Bryan Singer, who was actually fired mid-production, does a fantastic job recreating some of Queen’s epic live performances, especially the band’s performance for Live Aid at the end of the film. Having seen the original Live Aid performance, it was almost like you were in the crowd during the 1985 show. Singer definitely leaves no stone unturned in the scenes featuring the band playing live. Where the movie comes up flat is in the retelling of the story of the band and Mercury himself. I was not aware of Mercury’s upbringing in Zanzibar, as well as his strained relationship with his family. Rhapsody might as well have used Wikipedia in rehashing this story, as it is barely there in the film. I was not pleased to see the PG-13 rating for the film, though I realize it stands to make more money with the rating. With the rating, Mercury’s drug use and sexuality were quite tame in the film, as compared to the legendary stories of his partying ways. The rating is also the reason that Sasha Baron Cohen gave for dropping out of the project. In the end, Malek was the right choice to play Mercury as the two are dead ringers for each other and nearly identical. The film does show Mercury coming out to his longtime girlfriend Mary, but other than that, the film fails to deliver the goods when it comes to his life. Bohemian Rhapsody chooses to focus on a 15-year span of the singer’s life, rather than delve deeper into one of the more polarizing figures in the music business. While it is widely known that Mercury died of complications from AIDS in 1991, the film doesn’t go much deeper into the singer’s sordid love life. 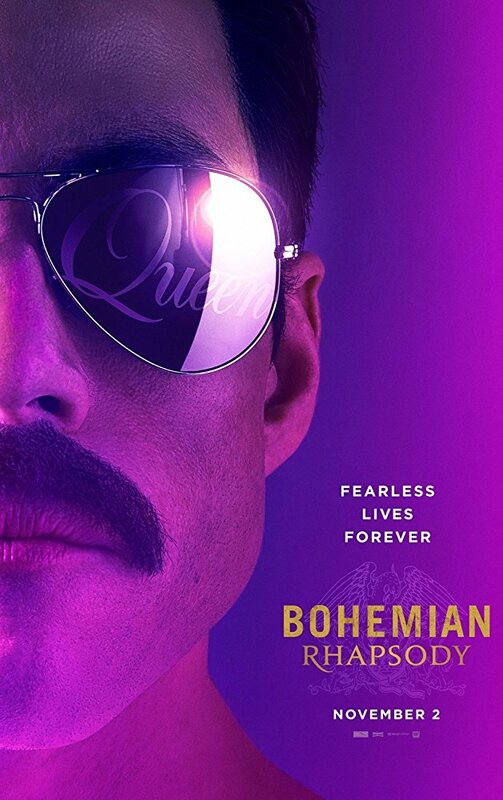 Make no mistake about it, Bohemian Rhapsody excels with Malek’s performance as Mercury and the music of Queen, which is enough to make the movie good. 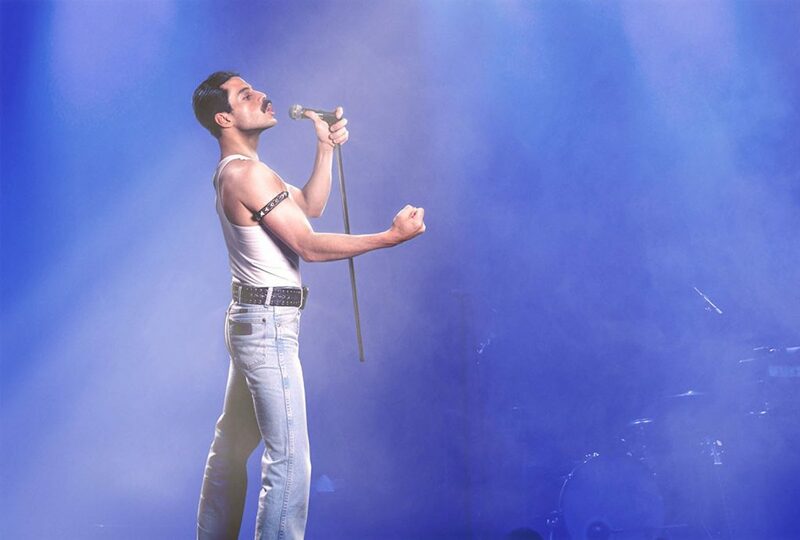 All the hits are featured, from “We Are the Champions,” to “Bohemian Rhapsody.” The final 15-minutes of the film are among the best you will see in the theatre this year, as Malek truly brings Mercury back to life in the band’s Live Aid performance. If you’re not singing along with Mercury at the end of the movie, you may want to have your pulse checked. While the movie wasn’t perfect, Malek’s performance and the music hit all the perfect notes and will leave you wanting the 134-minute film to continue even after the credits have finished scrolling. Rami Malek gets an A+ for his performance of Freddie Mercury, while the music in the film also earns a solid A+ rating.